The exhibitions for Project Space are selected through an annual open call. The call is open to all makers of photographic art, whether professionals or students. Teams can also submit applications for the open call. The museum's exhibition team goes through the entries submitted through the open call and selects five exhibitions for presentation each year. The Project space is intended for exhibitions and projects that use photography or other lens-based media as tools for art or research. The space shows stimulating exhibitions by both fresh talents and more established artists. Photography professionals and students as well as visual artists making photographic art can apply. Applications can also be submitted in the name of workgroups. The decisions were made by The Finnish Museum of Photography’s acting chief curator Tiina Rauhala, curator Maria Faarinen and photographer Karl Ketamo. The application must consist of a single pdf file. However, if the exhibition includes video, you can add a link to it instead of sending the video file as an attachment. A cover page with the name of the applicant (and/or the workgroup), e-mail address and a phone number (country code included). Application letter that gives brief but complete details of the proposed exhibition (max 2 x A4). The letter should involve information of who is/are the applicant/s, what kind of an exhibition you would like to have and, if possible, what kind of sections does the exhibition consist of. It is okay to not have an existing exhibition when applying – just be as precise as possible with your explanations of what kind of an exhibition you’re planning. Include a portfolio containing photos of the works to be in the planned exhibition. Indicate each work's year of completion, dimensions, mode of production etc., and include any information that will help give a picture of the exhibition as a whole. In case the works for the planned exhibition have not been produced yet, please send some reference material of your earlier works. If you are planning to show moving image, please add a link where we can see the work. Include your full contact details and your CV to your application. If the exhibition is produced by a group, please include everyone’s CVs. Name your application pdf-file with following example: Project2020_your_name. Application pdf-file size is maximum 10 MB. Applications for the year 2020 should be sent by 2pm (EET) on Friday the 24th of May 2019. Send the application to: finnishmuseumofphotography@gmail.com. Title your application message with Project2020. What does the Museum provide for exhibitors? The Museum provides exhibition space, free, for 7-8 weeks. 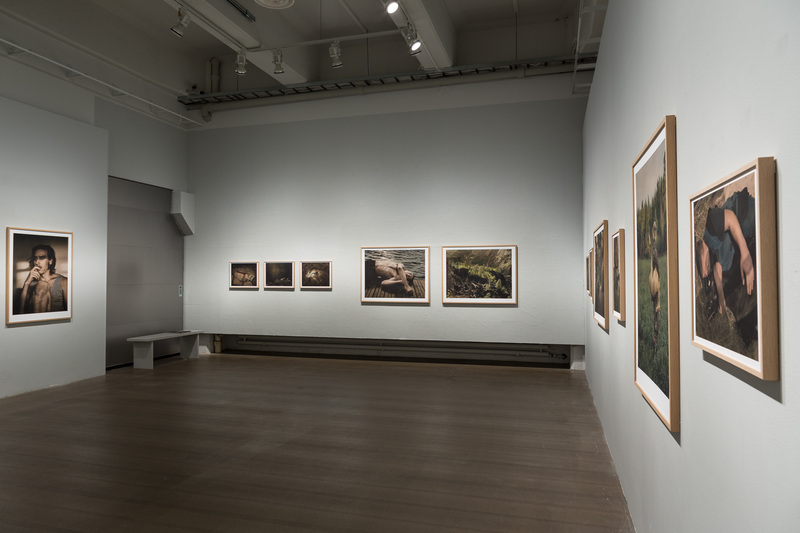 Applicants can indicate a preferred exhibition period, but the Finnish Museum of Photography reserves the right to decide on the order of the exhibitions. There are fore or five exhibition periods during the year 2020. The Museum offers exhibition installers an exhibition fee of 400 euros. The Artist is responsible of other production costs. The Museum provides help with installation and dismantlement, exhibition supervision, and opening arrangements. The artist should be personally present during the construction and dismantling of the exhibition. The Museum provides publicity, publishes exhibition details and sends press releases and posts information on the Museum's website and social media channels. The Museum does not provide paper invitations or postage. Artists who make and post invitations at their own expense can use the museum's geographic mailing list if they wish. 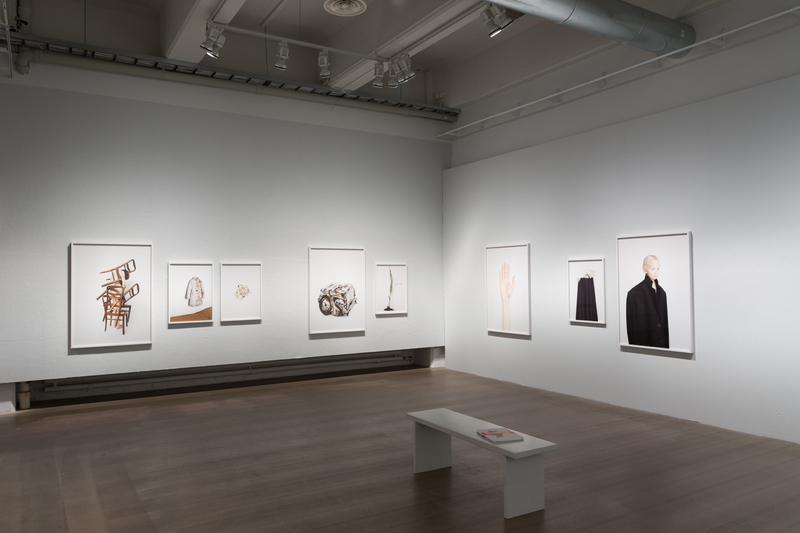 The applications are reviewed by the Finnish Museum of Photography's exhibition team: Chief Curator Tiina Rauhala and Curator Reetta Haarajoki. All applicants will be informed of the curators' decision by e-mail the latest by 19th of June 2019. After confirming the selected projects and exhibition schedules with the artists, the list of names will also be published on the museum’s website. Marta Zgierska's exhibition "Post" at Project Space in 2017. Photo: Virve Laustela / The Finnish Museum of Photography. Elis Hoffman's exhibition "Fading" at Project Space in 2017. Photo: Virve Laustela / The Finnish Museum of Photography.